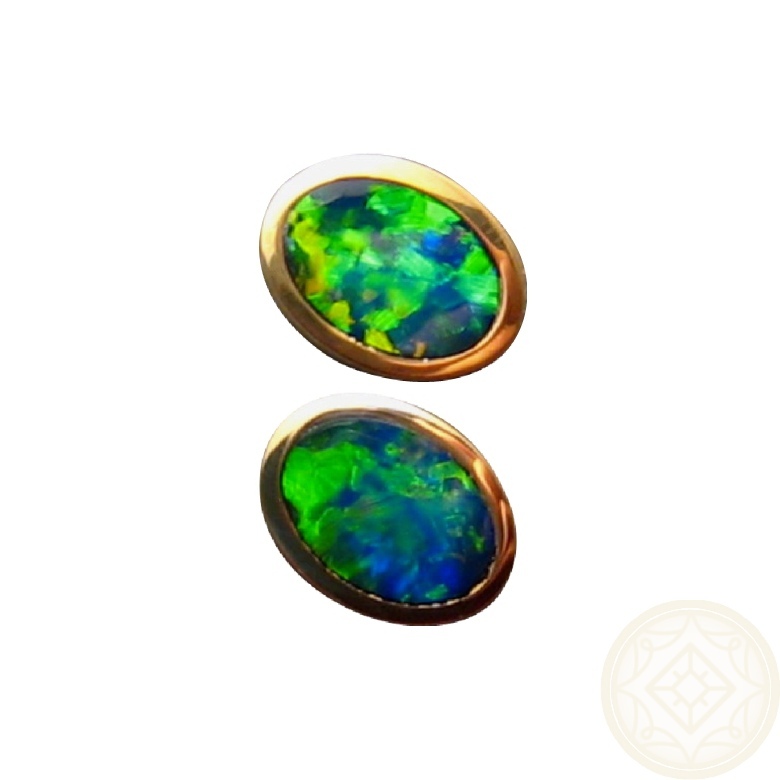 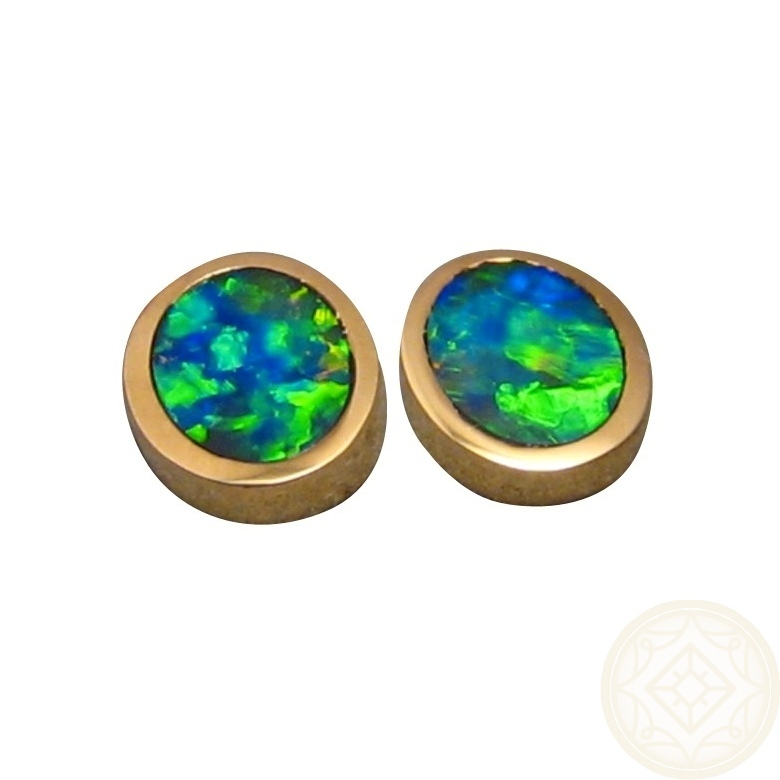 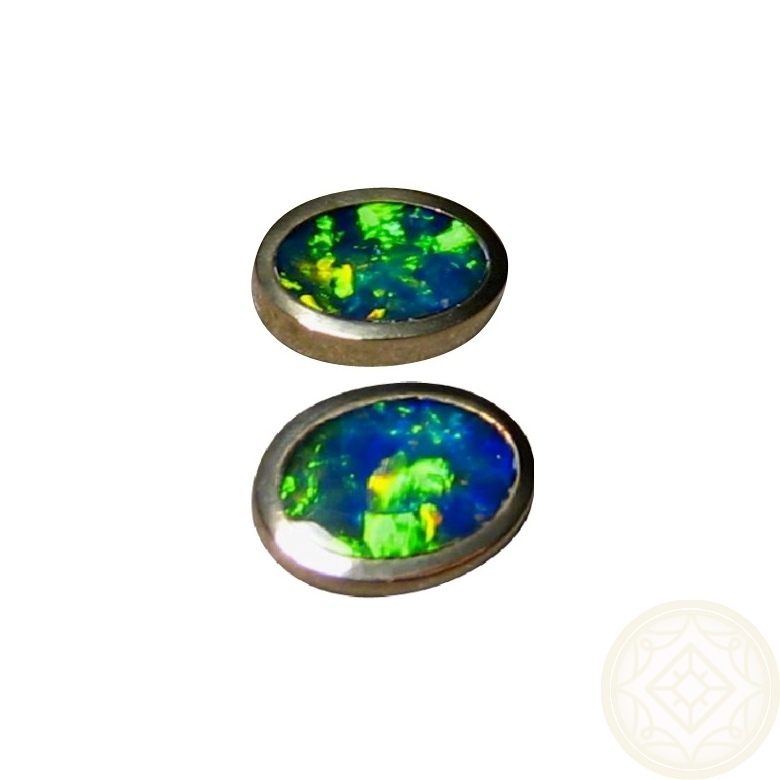 Opal stud earrings in 14k Gold with extremely bright Green and Blue in a fantastic lively play of color. 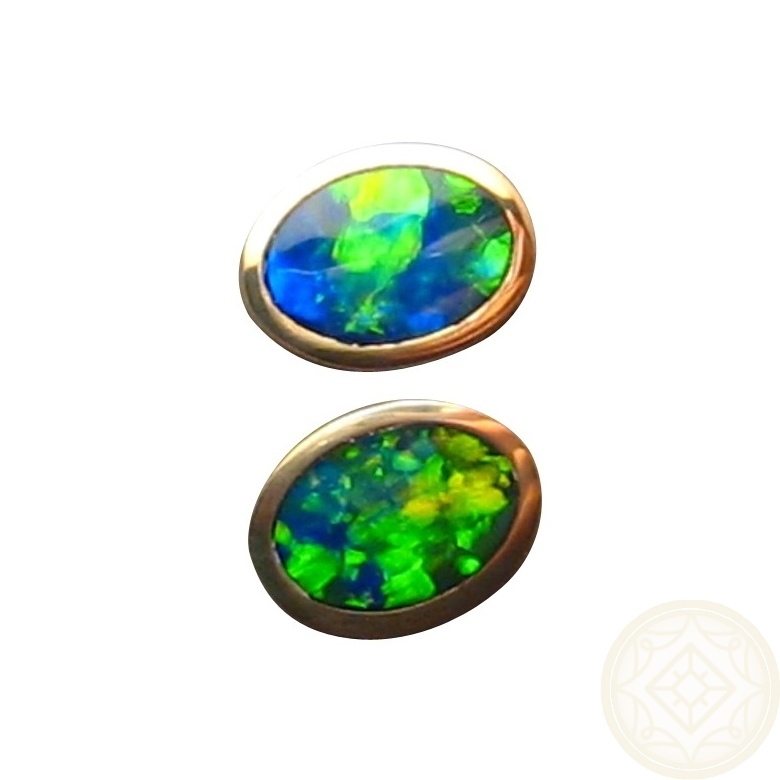 Opal stud earrings for women or men. 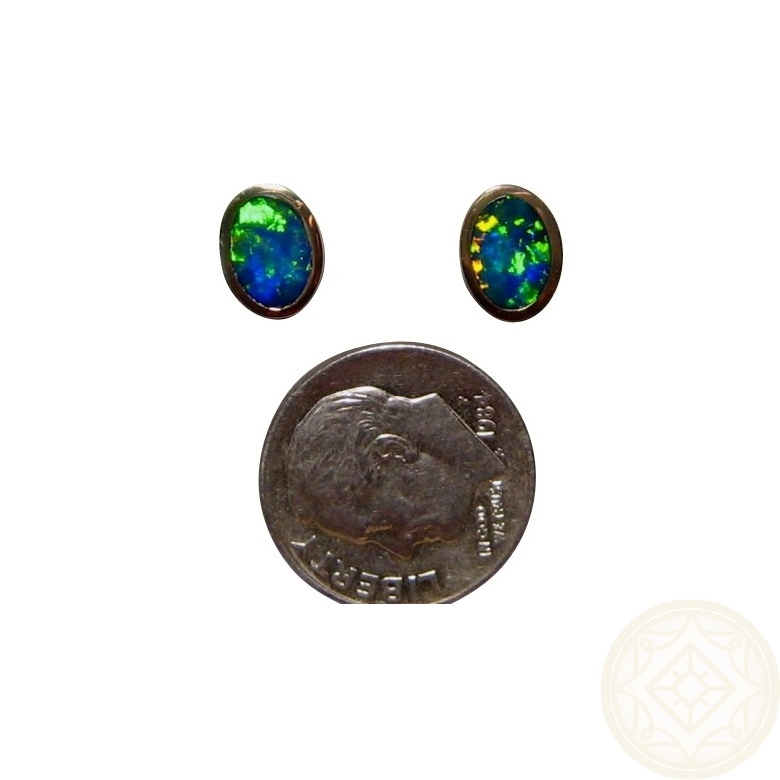 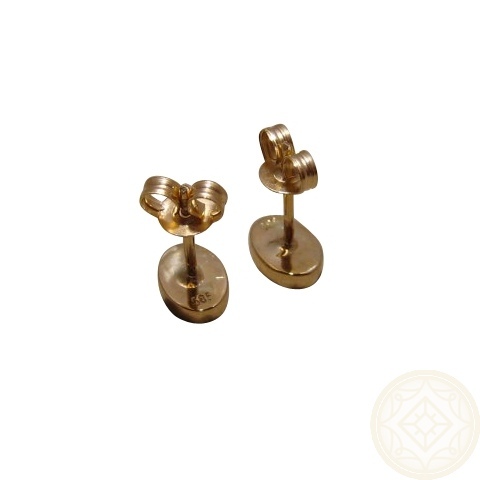 Oval 14k Yellow Gold stud earrings with butterfly clips are inlaid with brilliant Lightning Ridge Black Crystal Opals. 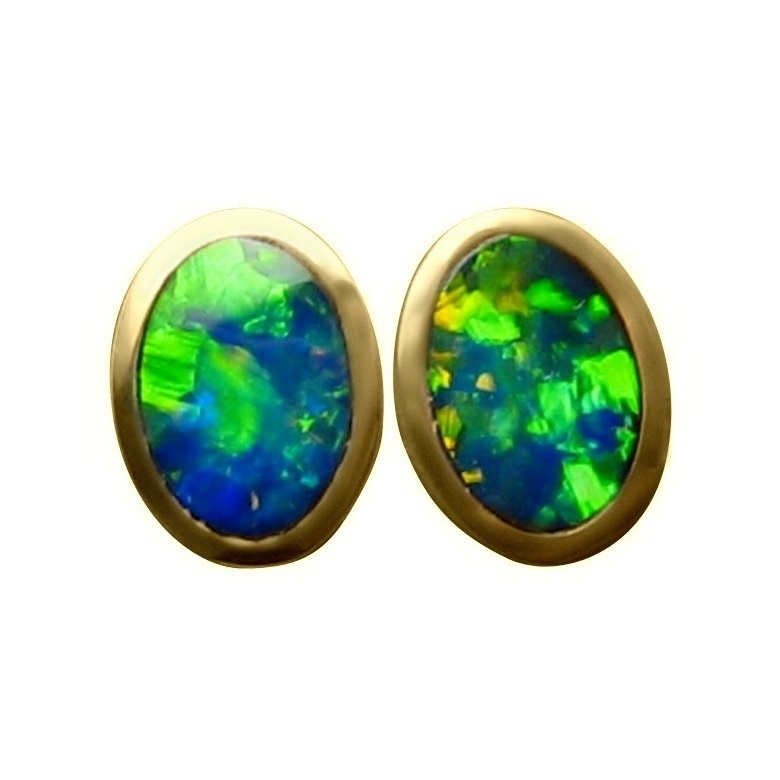 These Opal earrings are as good as it gets for brightness and a great play of color.